Chris specializes in investment management consulting for affluent individuals and families. He joined Adviser Investments upon its acquisition of Kobren Insight Management (KIM) in 2011. 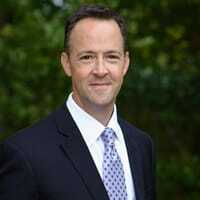 Prior to joining KIM in 2009, Chris worked at Fidelity Investments in both San Francisco and Boston, most recently as the Director of Executive Services, educating and guiding corporate executives on equity compensation exercise strategies. In 2019, he was honored in Boston magazine for the seventh time as a Five Star Wealth Manager. Chris earned his B.A. from Saint Michael’s College, his M.B.A. from the University of San Francisco and got his start in the financial services industry in 1997. He was awarded his CRPC® in February 2013. Chris makes regular television appearances on NECN in Boston.